Join us for live game 5 updates via the sports staff of the Los Angeles Times. Clippers lose Game 5 in the final seconds of the game. Game 6 is coming Thursday, and we'll be back, covering the action live. Follow us @latimessports. 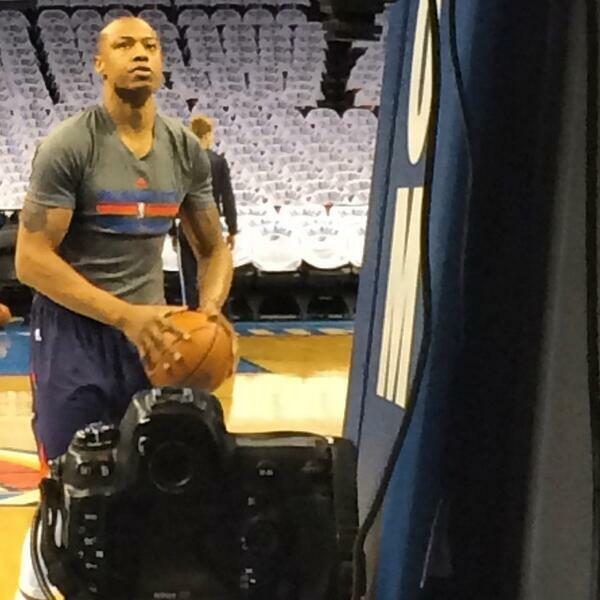 So, as everyone gets ready for Game 5, the Sterling story, of course, isn't going anywhere. 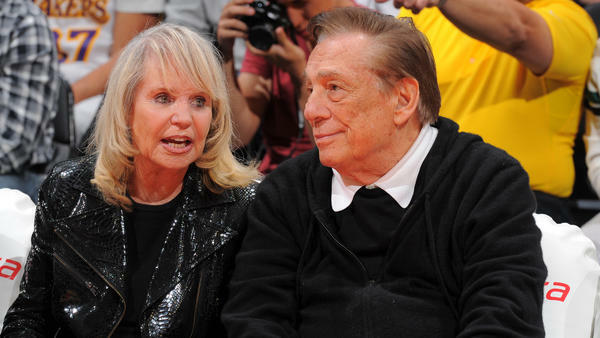 Bill Plaschke has a column up now on the only rational decision Donald and Shelly Sterling need to make: Sell the team. Period. Donald Sterling says his team loves him. Clippers beg to differ. "Players recoil at Sterling's claim they love him"
In about 20 minutes, we'll interrupt our regularly scheduled programming of Anderson Cooper and Bill Weir discussing Donald Sterling, Shelly Sterling, Magic Johnson and reaction to the Sterling fiasco with some actual basketball. 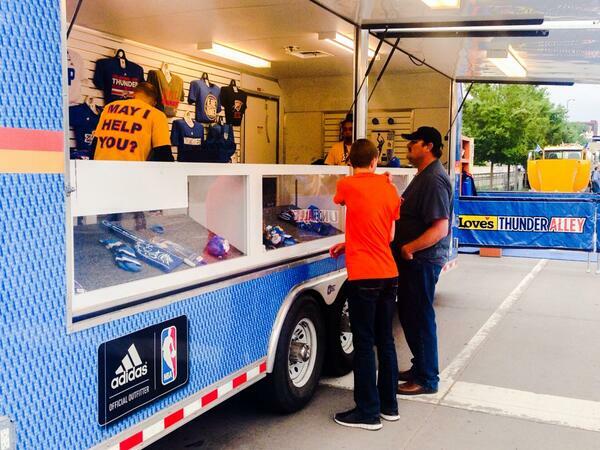 Game 5 between the Clippers and Thunder will be a very welcome relief. Head over to Facebook & LIKE @hotelplanner for your chance to win $500 in free hotel rooms. Hurry as this promo ends one hr after the game! #Clippers vs. Thunder Game 6 will be at 7:30 p.m. PT on Thursday. Magic: If I steal a franchise -- it won't be the Cippers! Can this clippers game start already! Well, I don't always agree with Shaq, but he's picking the Clippers tonight. 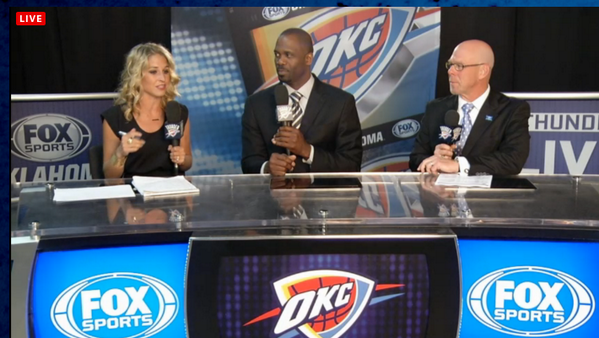 Charles and Kenny going with OKC from the TNT studio. I'll let you know my pick in about 2 1/2 hours. OK, you guys up for predictions, Melissa? Eric? I'm picking OKC by 8. Redick gets on the board early, which I think could be a critical element for the Clippers. Reddick hits a three-pointer to put the Clippers up 7-2. Redick again, this time from 25 feet. There's lots of intensity early in this game, teams really pushing the ball from the start. Matt Barnes FTs give #LAC a 9-2 lead. They're on 9-0 run since OKC scored first. Well isn't that interesting. The Clippers have come out gunning it tonight. 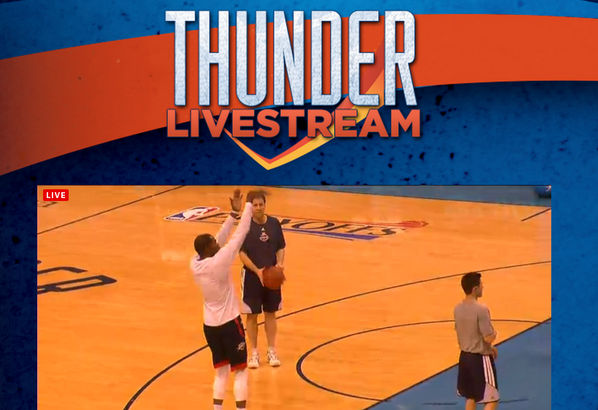 They're shooting 75% from the field while the Thunder is shooting 25% with 9:45 left in the first. Game 4 had the opposite start. I'm not sure how Perkins got so open inside. It was as if OKC was playing five on four. Mike - Clippers don't guard Perkins much! Blake hasn't missed yet, he's made his first two field goals. Quite a confidence booster. Thabo drives and slams. Thunder cuts 7-point LAC lead to 3. It's 11-8 Clippers with 7:46 left in Q1. Griffin. Again. Three-for-three. All jumpers. Seems to be a lot more noise in OKC early than there was at Staples in Game 4, but Griffin's third make on three shots quiets things significantly. Jordan's quick second foul, though, isn't great for the Clippers. 13-10 LAC.